On-Site Safety currently offers three types of stationary gas detectors to cover a wide range of monitoring applications. Each system supports a wide array of sensors, such as H2S, SO2, and LEL, while offering different methods of meeting your safety requirements.If you are unsure about which monitor best suits your job scenario. 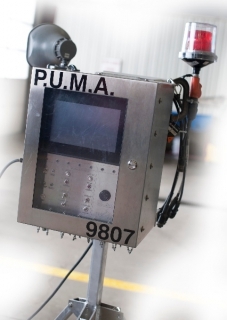 We would like to introduce you to PUMA PUMA is an On-Site Safety built system. We have an extensive in house Engineering and Air Quality monitoring department. Their goal is to continue to improve the technology of Gas detection monitors and warning alarm controls. With increased demand in the industry for bigger and better systems with flexibility, added control and ease of use, On-Site Safety took the challenge. We have designed an impressive lineup of hardware and software to suit our customer’s needs. Current conventional hardwire monitoring systems did not allow a single source of monitoring for large multi well projects. The use of multiple small systems on a single location was not feasible; it would be impossible for the operator to efficiently respond in case of a release. PUMA Stand for Primary Ubiquitous Monitoring array. What does Ubiquitous mean? It means to have the ability to be everywhere at once. On-Site Safety developed PUMA to handle this demand; PUMA can effectively monitor up and to 24 different hardwire locations with a simple button click. On-Site Safety is also developing a wireless module for PUMA which when released will add 16 additional sensor locations; a potential of 40 sensors on one system all easily managed from one central location. Another feature of PUMA is that it data-logs each individual sensor in one minute intervals. This information can prove invaluable in the event of a release. At the customer’s request On-Site Safety can produce archived data that breaks down the measured readings at each sensor location. This Data is stored encrypted on an SD card; requested reports would come from the On-Site Safety's Electronics department at head office and sent at the customer’s request. 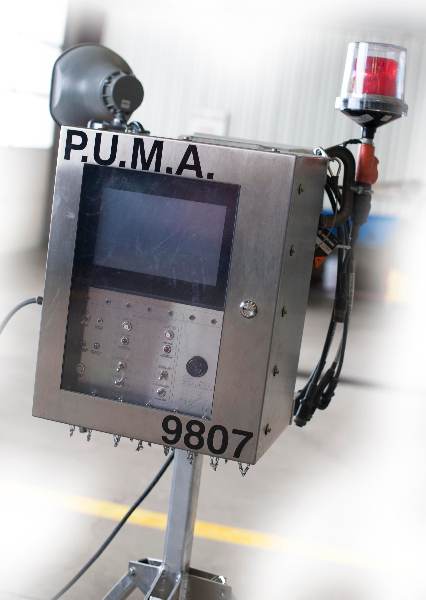 As mentioned previously PUMA is a hardwired toxic gas detection system that can effectively monitor up to 24 sensors. 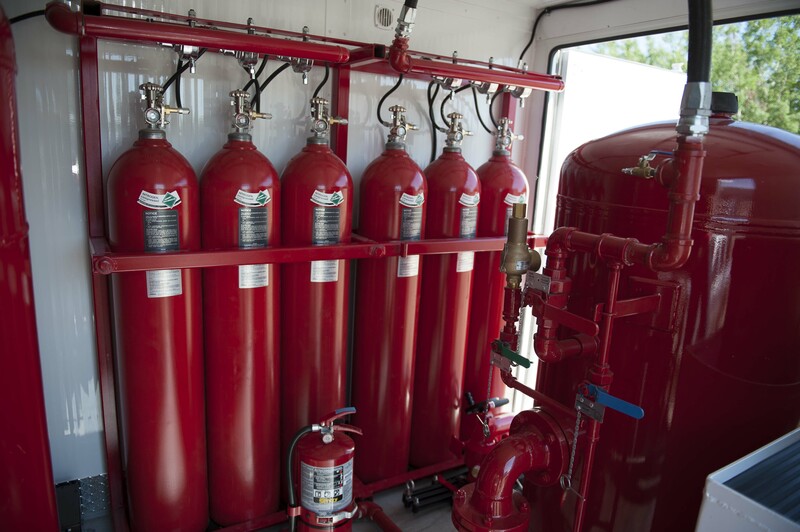 By default the system is configured for 8 Combustible Sensors to monitor 0 to 100% Lower Explosive Limit or LEL and 16 H2S sensors which monitor 0 to 100 Parts Per Million or ppm. However we can customize this based on the customers demand. 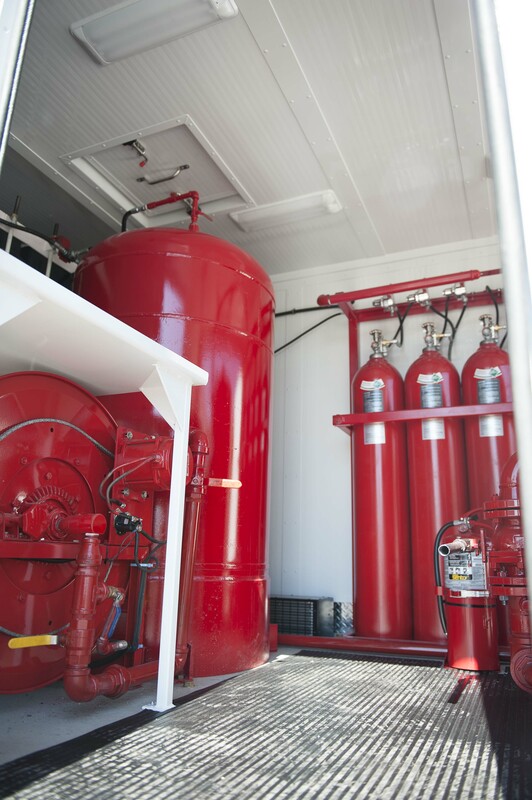 We can also customize this system to work with most industrial 4 to 20 Milli Amp Sensors to measure Nitrous Oxide, Sulfur Dioxide and Oxygen to name a few. Contact us for more information on our customization abilities. When designing the PUMA system we opted for a touch screen display to control the 24 different channels or sensors. This allows for very intuitive operation. The operator can simply press a button on the control screen to enable or disable and/or calibrate a sensor. The system can also be hooked up to our existing audible and visual signaling devices. Using digital technology we are able to offer 30 different customized sounds that are 100db loud. We have made provisions to allow us to use the 120V Alarms which are legacy items or the new 24V DC alarms which are inherently safer. The PUMA system easily interfaces with On-Site Safety’s Lynx system. Allowing the users to detect a problem and then notify all personnel quickly in the event of an alarm. Our electronics department is also working on making this system Wireless. Another way we are striving to improve our technology to benefit our clients. Keep your personnel out of harm’s way with On-Site Safety’s PUMA System by making On-Site Safety your company of choice. A self contained, stand alone, down wind, toxic gas monitor. Modular design, allows for easy transport and deployment. 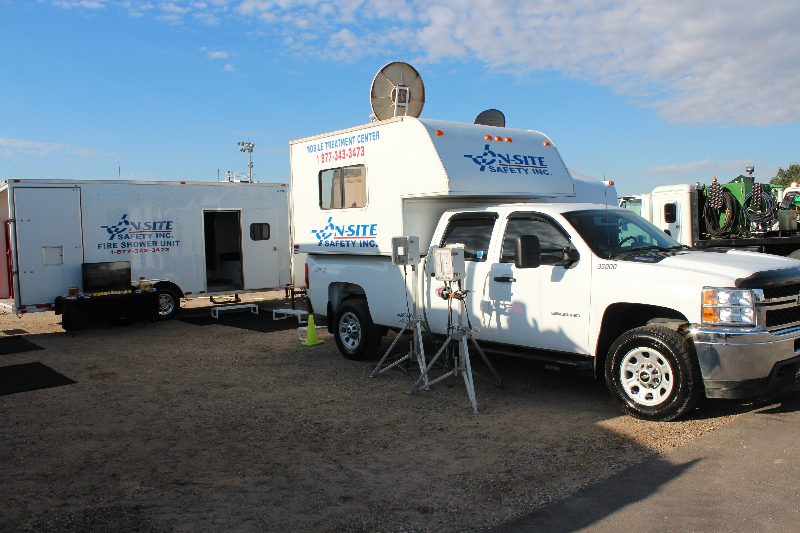 24/7 monitoring, with immediate notification upon detection of H2S or SO2. 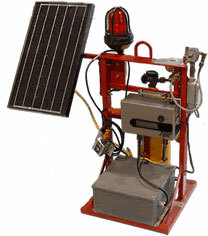 Solar powered with satellite communications for remote deployment. Secure data available on-line for easy access. Measures H2S with resolutions as low as 20 ppb to a peak scale of 10 ppm. Measures SO2 with resolutions as low as 100 ppb to a peak scale of 10 ppm. Wind Anemometer: 0 – 234 km/h / Direction ± 5°. The CATS have been a preferred solution by many oil companies requiring stationary gas monitors due to its robustness and performance in the field. This unmanned system continually monitors concentrations of SO2 and H2S in the air while performing real-time updates to our web server. Upon request, customers can view these updates, in the form of graphs and raw data, by logging on to our secure CATS site. In the event where a CAT system detects a gas alarm, personnel are immediately notified by our automated text messaging system. Uses BW detector and sensor technology. Complete stand alone gas monitor. Has visual (strobe) and audible (horn) alarms. Capable of running two sensors. Comes with up to two 10′ sensor cables(50′ on request). One 45 cubic foot air bottle for air horn operation. 2 twelve volt gel cell batteries to operate strobe and air solenoid. Intrinsically safe: Class 1 Division 2 Groups C,D. Originally designed for plant jobs, this intrinsically safe gas monitor can be used for a wide range of applications. This unit offers a wide array of sensors that can be used to meet your safety requirements, such as LEL, SO2, and H2S. What attracts most people to the SAM is that it also contains an on board horn and strobe that will go off in the event of an alarm.